On a bright sunny morning on a leafy green street in the Southern suburbs of Cape Town, two little girls hop out of a car and run through the gates of their school, hand in hand. They are Margaret and Abby and they are best friends. They do not have the same colour skin or the same colour hair or eyes but they wear the same blue school dress. They have the same backpack and the same little blue sun hat on their head. That morning they will sing the same school song, spend the day learning in the same grade 2 classroom, from the same teacher and at lunch time they will enjoy the same nutritious food packed lovingly into their matching lunch boxes. But in reality Margret and Abby, when not at school, are worlds apart. Margret’s mother works for Abby’s parents. She cleans their house. She lives in a one roomed house in Gugulethu and cannot read or write. But she is loved and seen as part of the family and so Abby’s parents decided that they wanted her daughter, Margret, to have the same opportunities as their own daughter and so they pay for her to attend the same school and make sure she has everything she needs. This is a true story. 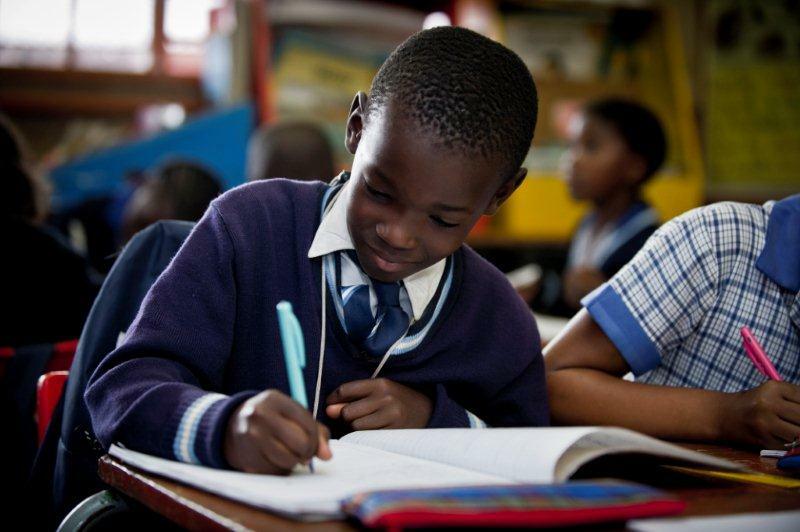 Recently South Africa was rated 127th out of 142 countries with regards to the quality of its primary education (Global Competitiveness Report 2011/12). This may surprise you; after all, you could probably rattle off a list of really good schools in the town or city you are from. You most likely attended one of them. But the sad reality is that those schools only serve to educate a small percentage of children in our country. The South African government like to talk about “equal education for all” but we are a far cry from that ideal. Recently a local Cape Town school sent out a letter stating that it would now be compulsory for children starting grade one to own an iPad. This, while less than 20km away children sit four in a desk and arrive at school barefoot in the middle of winter. As Christ-followers, this should not sit well with us. Our hearts should break at the thought of literally thousands of school children in our country arriving at school hungry to be taught in a dull cold classroom with a few outdated textbooks by an uninspired and underpaid teacher who is out numbered 1 to 40. While others enjoy education aided by Smart boards, desks full of new stationary every year, lunch boxes full of more food than they can eat and countless extra mural activities to help them develop and grow. Education is the key to ending poverty. Without a good education a child has less chance at a better life. The story of Abby and Margret is a beautiful picture of two people realising how crucial education is to a child’s future. This act of selfless kindness is Christ-like and beautiful. If only we could see more of this in our city. More people doing something to ensure a good education for ALL children. This would hopefully put pressure on schools to think further than their own gates. Individuals can help too by getting involved in literacy programs or donating to organisations that help schools get the resources that they need. Perhaps there is a child in your sphere of influence who needs stationary, books or a new school uniform? The challenge is big, the inequality is vast but we are not powerless to cause change. We need only to collectively do out little bit. Let us follow after our Father’s heart, and want the best for each and every child. Amy is a qualified primary school teacher who has taught Grade 4 at a well-known all-girls school in Cape Town. 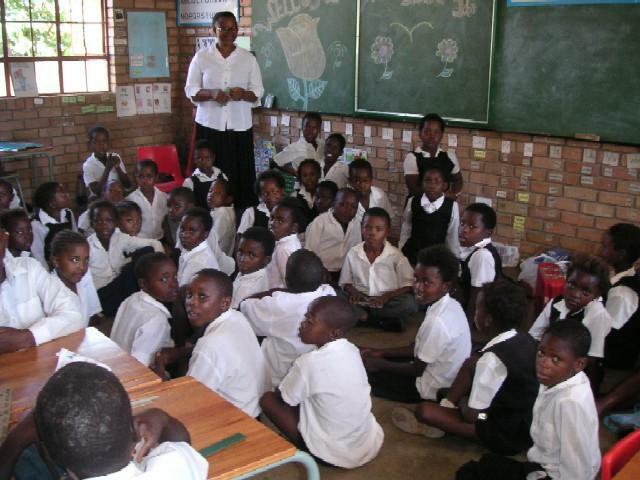 She did her teaching practical at a primary school in Gugulethu in 2007, and recently volunteered her teaching services at a school for children with learning disabilities while living in Nairobi, Kenya. She currently lives in Cape Town with her husband. Amazing article Amy! So incensed by that ipad idea – vomit. Love the suggestion to become more aware of schools’ inclusivity – how being an involved and responsible citizen gives us a direct and accessible way to respond to injustices. Thanks Amy! A sobering but helpful and practical read. Love the article – and agree so much with it…….but we need more awareness and more input from all of us to make it work. As someone who is paying for a maid`s child`s education – I was amazed at how much assistance and help was out there when I just asked! It is so easy to assume “I can`t”…….when in fact GOOD schools are willing to be very supportive. The school where the child I sponsor goes to has a “sponsorship” programme whereby all assisted pupils get free aftercare and free holiday care….BUT we need people to care enough about the education of employees children to help. It does not end there because the parents then need mentoring as much of what the school teaches and does is lost on them. Having said all that it is SO REWARDING – I get such a kick out watching a little 6 year old girl learn to read and to respect and be so proud of herself. I have been involved in High School and University education in Cape Town for the last 30 years. Sadly, we are still living with the effect of the apartheid system, particularly in our schools. The division of race groups into areas has resulted in affluent areas with good schools and poor areas with severely disadvantaged school facilities. People living in poorer areas have little option but to send their children to these schools. For the wealthy communities, parents are able to send their children to schools where although school fees are high, they have all the latest equipment. Classrooms can easily be upgraded and sports fields improved simply by increasing the annual school fees. In the poorer communities provision for such improvements is just a pipe dream. My wife has been a volunteer at a junior school in the Retreat area. Children at the school could often not even write their work in their exercise books simply because they did not have a pen or pencil with which to write. They did have a computer room with computers which had been donated but for three years it remained locked as they did not have a teacher who felt confident enough to teach the children to use them. Every time I read of improvements being made to the local schools in my area I cringe and wonder if all this is really necessary. One school recently wrote to ask for donations towards new computers as their lab needed to be upgraded. They proudly pointed out that their old computers were to be donated to a ‘previously disadvantaged school’. I can’t help wondering why they thought this was a good thing. If they were not up to standard for their students why would they feel they were suitable for this poorer school? I would love to see more of the affluent schools partnering or twinning with schools in disadvantaged areas. I know some schools do this by bring students in to use their facilities. Wouldn’t it be great to hear of a wealthy school saying that they were going to upgrade their facilities and at the same time match the amount spent by upgrading a poorer schools facilities? As a mum I want the best education for my child – but we are called to love our neighbours as ourselves – so I also want the best education for my friends child who lives in Langa. She is one of my neighbours. I feel conflicted by this article. I am inspired by approaches to education that push the boundaries in thinking, creativity and fun – that use technology to unlock creativity, make learning playful and engaging, and develop critical thinking skills. But how do we take the excellence we see in so many southern suburbs schools to the eastern suburbs? How do we bridge the divide – not just in one or 2 schools but in the majority of schools where our education system is failing our nations children on a daily basis? Leadership, innovation and God…and lots of prayer. Combined with lots of people doing what they can with what they have where they at. Thanks Amy – for me, right now – your article has challenged me to do all I can for ‘my neighbour’.